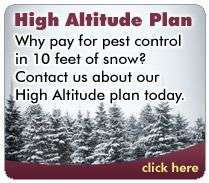 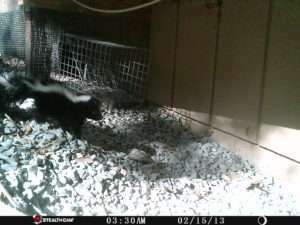 Foothill-Sierra does skunk exclusion. 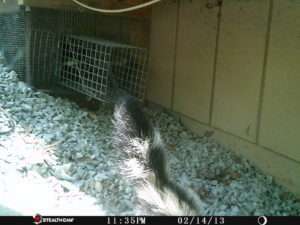 A family of skunks took residence under this house. 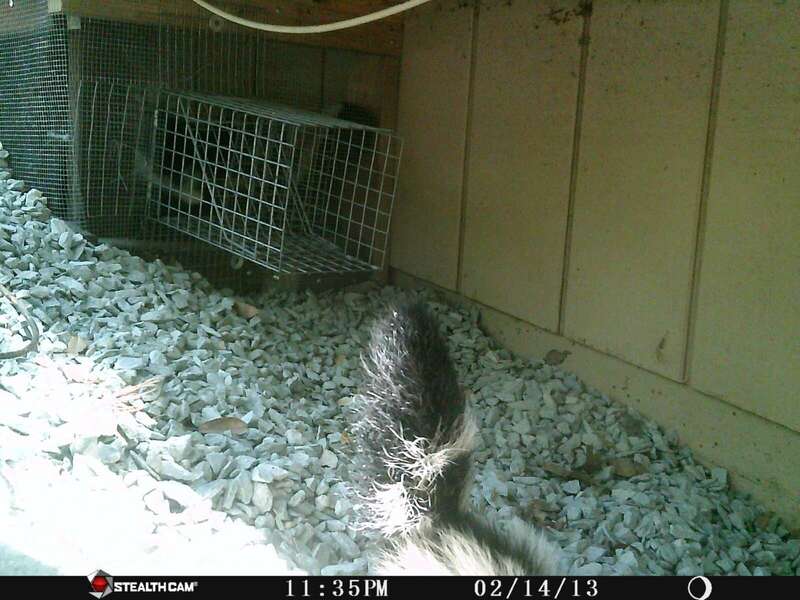 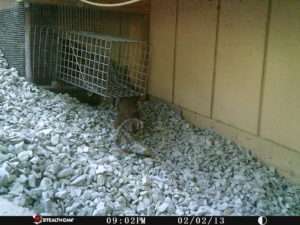 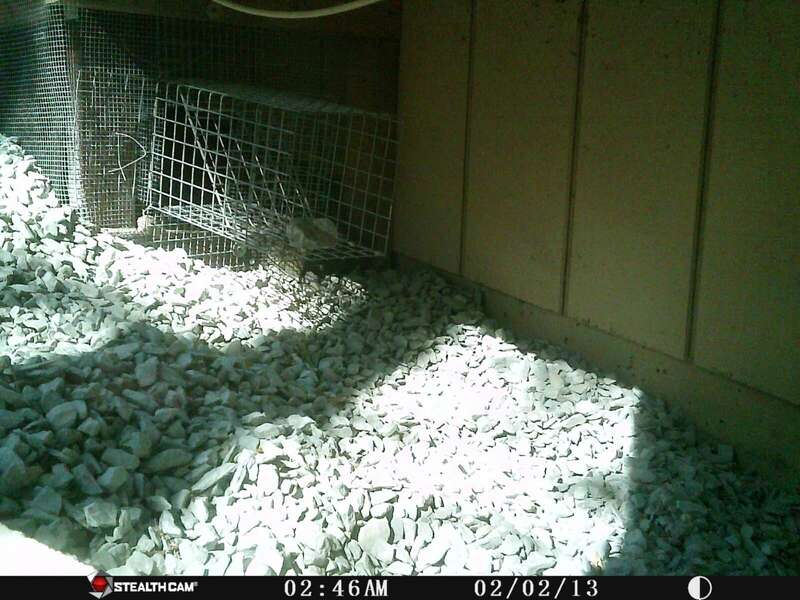 Our technician, David Adragna, did an exclusion job, and incorporated a ‘one-way’ door, to let the skunks out. 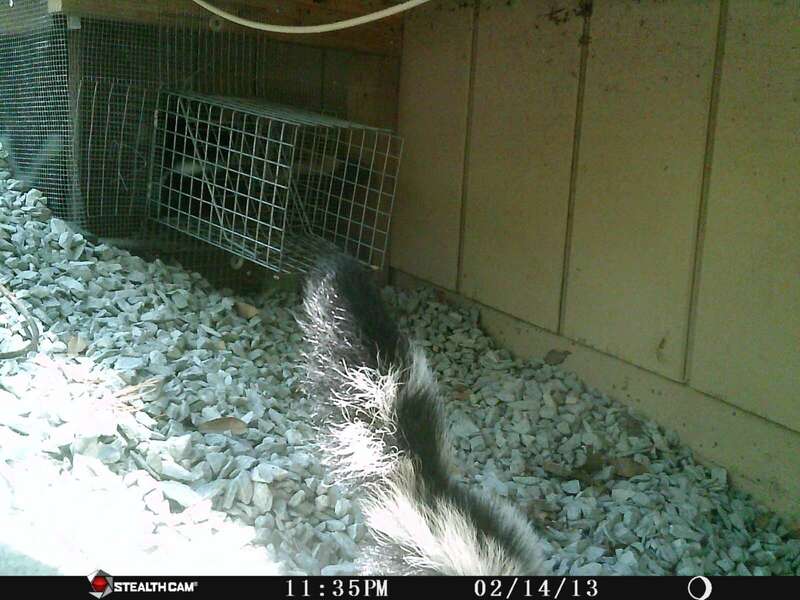 He set up a Stealth Camera to photograph what happened afterwards. 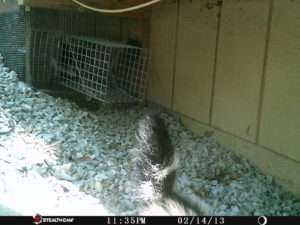 We did not have the date and time set properly on the camera, and all photos were taken in May 2016. 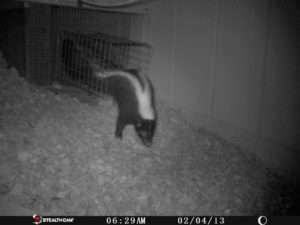 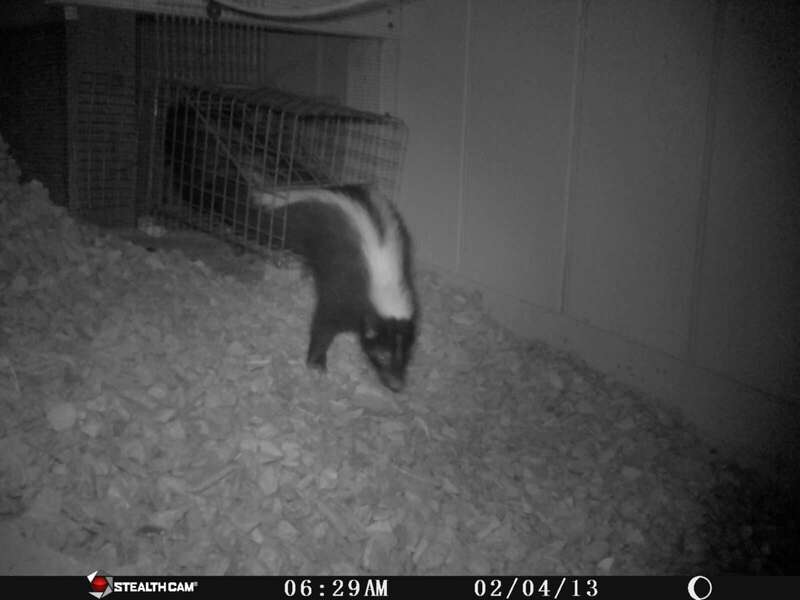 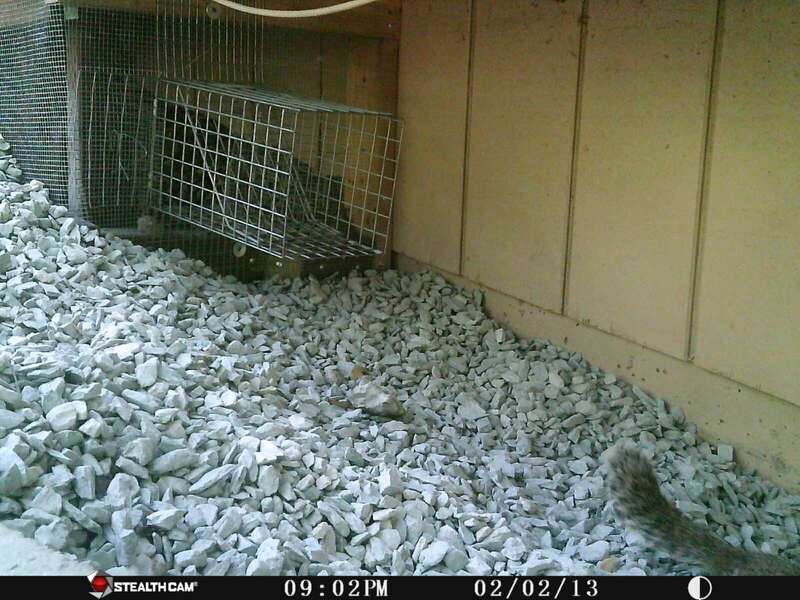 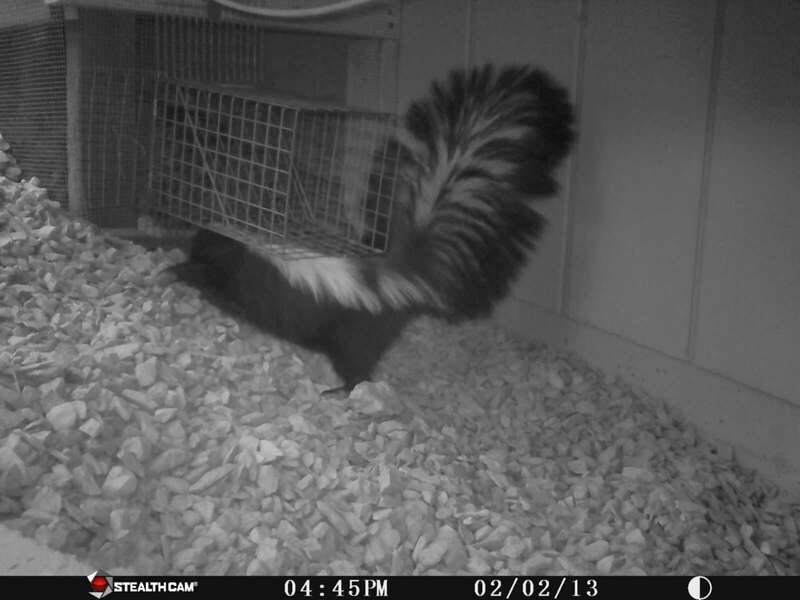 You can see that it took a couple of days for the whole skunk family to exit. 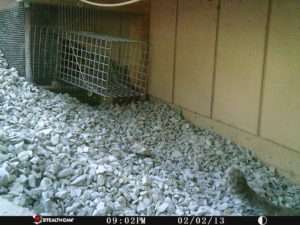 Interestingly, a squirrel may have also been going under the house through this access area too, as you can see a frame, below, of the squirrel trying to get in. 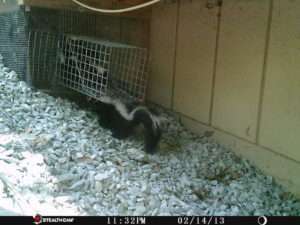 The skunk entry point was blocked, and a one-way door added to allow the skunks to exit. A skunk makes it out. 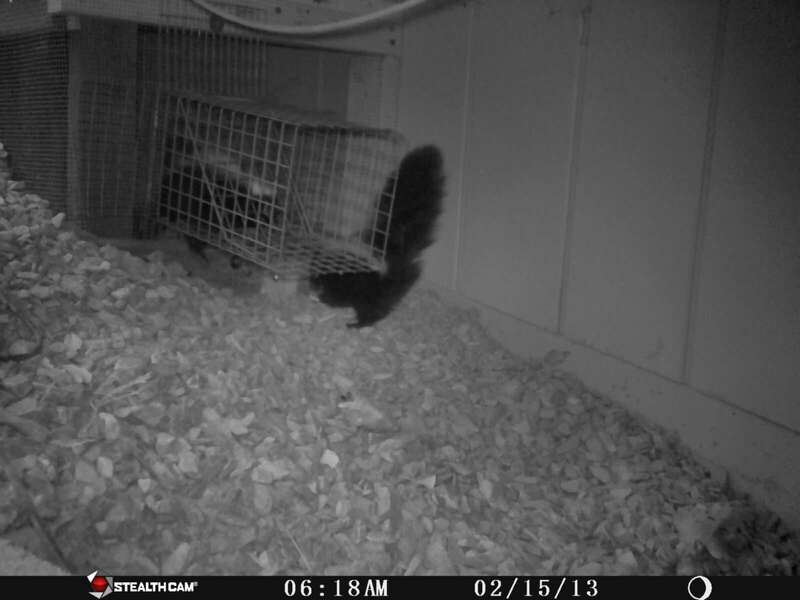 And he cannot get back in. 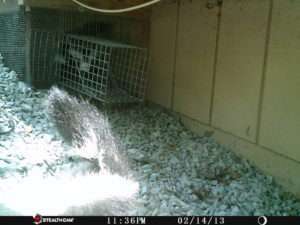 And he cannot get in from above. 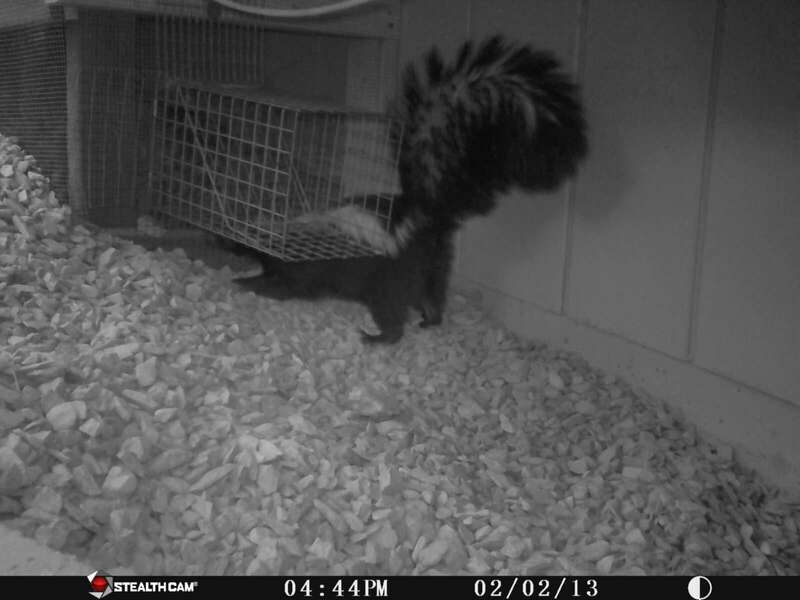 A squirrel is examining the blocked entrance. 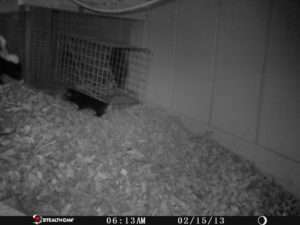 The squirrel gives up and goes away. 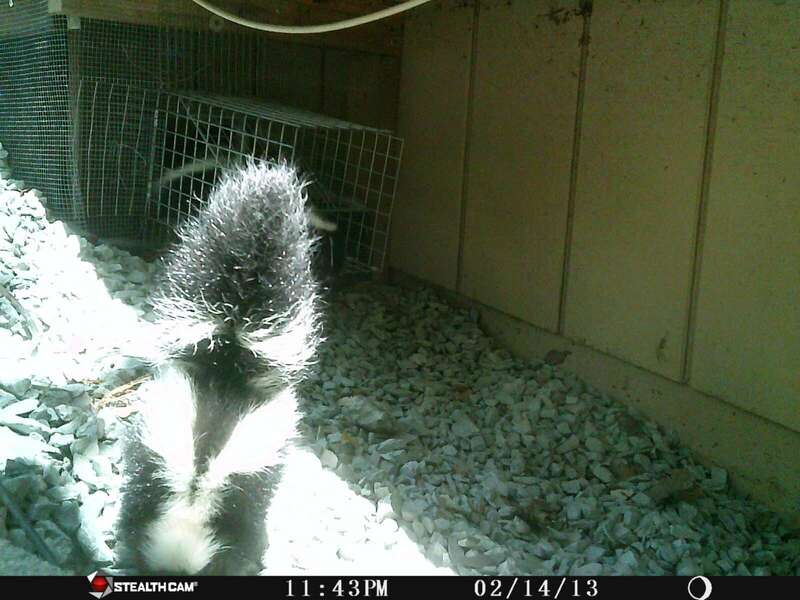 The skunk tries to gain entrance in daytime. 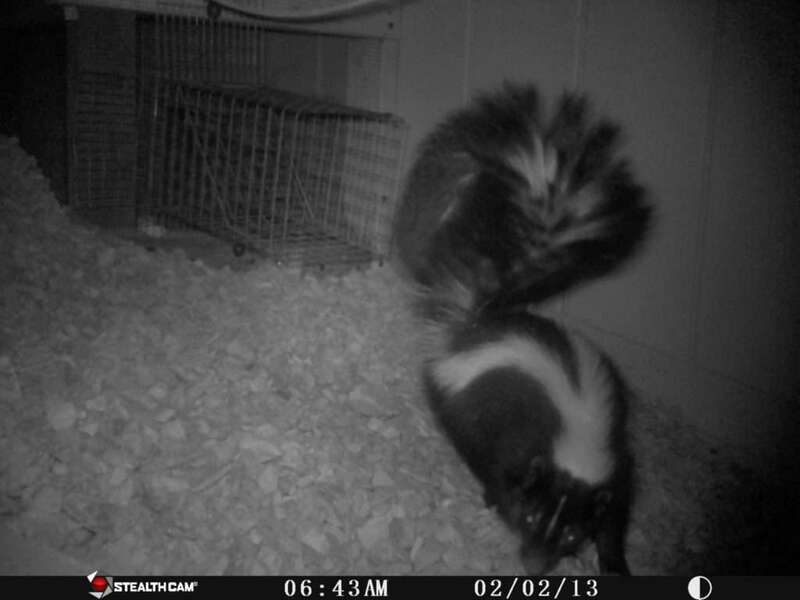 Notice the second skunk inside, getting ready to leave. 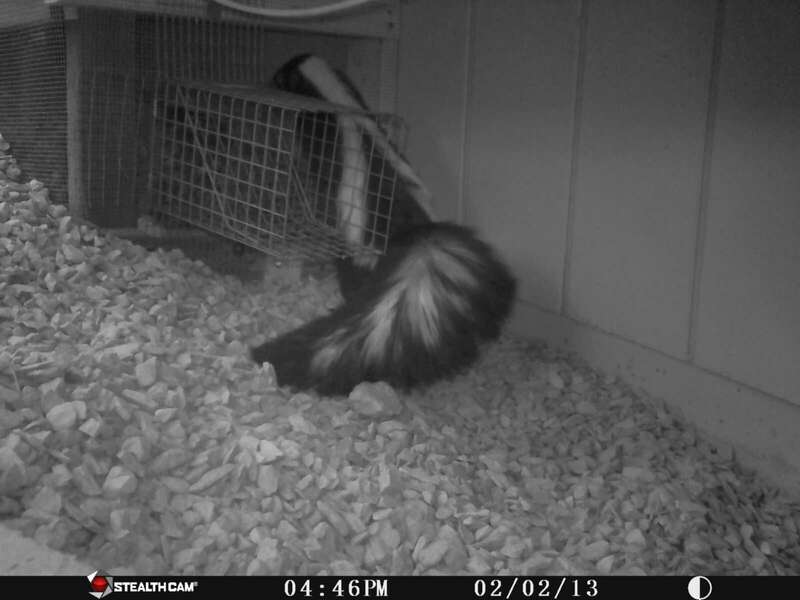 The inside skunk is getting closer to leaving, and joining the skunk on the outside. 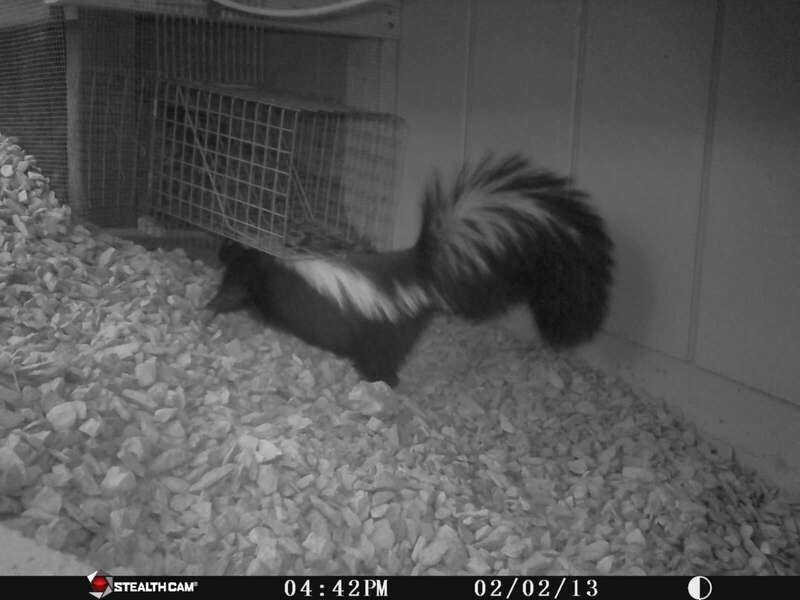 Getting closer and closer to exiting…. 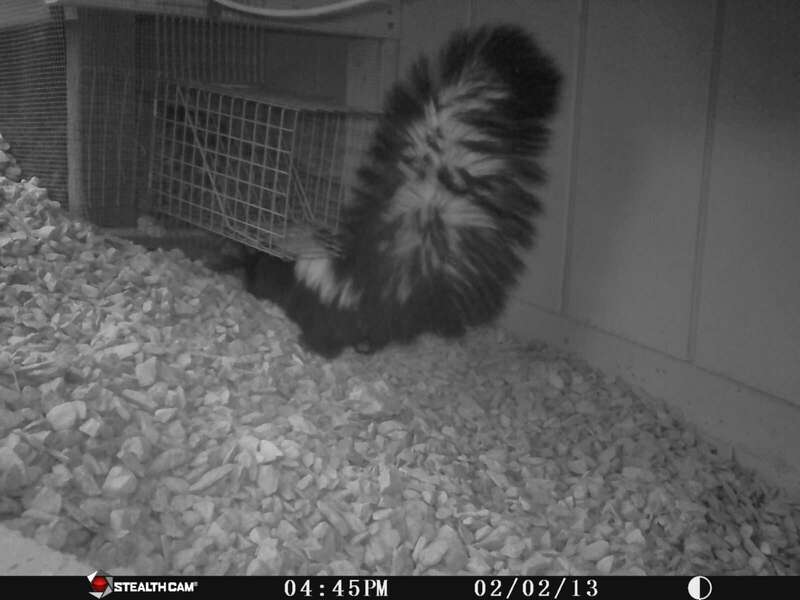 The inside skunk is now part way out. The baby skunk cannot get in either.